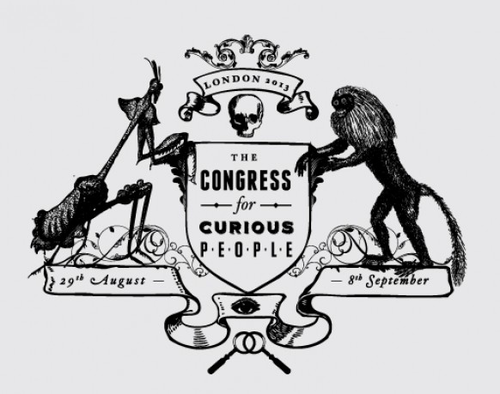 The Congress for Curious People – an offshoot of the Coney Island gathering. Kicking off this Friday. For anyone who prefers life tinged a touch dark, this is for you. It kicks off on Friday with Spectacular Pathologies at Barts Pathology Museum. On Saturday the whole set up debunks north to Blackpool, playing homage to Coney Island. Over the course of the week you’ll be sent on a true trip via characters such as occultist Aleister Crowley, lectures in C19th seance-based entertainment, esoteric photography and anthropomorphic taxidermy. More information here. 30th August – 8th September. Multiple venues across the city. Symposium held at the Horse Hospital, Colonnade, Bloomsbury, WC1.